Hi all, I'm new to the forum and decided to join up because I really want to get a handle on web site programming myself rather than paying others to do work which may or may not be suspect coding as I am dealing with now. I have an issue after paying an Asian kid in Indonesia (first mistake I expect as he is charging good money to produce bad code) to custom code up a child theme for me on a WP site Divi Theme. I don't know if it is okay to post a URL so I hope so as I can't see a facility for posting screenshots. 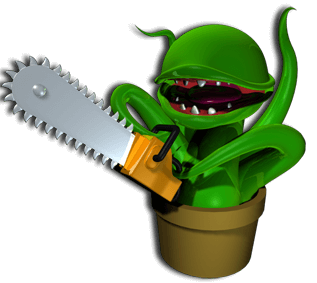 My site is http://manicbotanix.com and the problem is that the way the CSS and header php has been handled is that the image of the little shop of horrors plant in pot at the right of the header looks great on a 15inch lap top but when on a larger screen it is horrible and is further left on the browser and covers a menu item. yes indeed, it has been setup a bit amateuristic but the reason the image get blurry the larger the screen is because the size of the image isn't all that big. So instead of using such a small image maybe consider using a bigger and better looking image and make it responsive. Also I figured I needed to say this, it has z-index: 999999 meaning it will sit on top of all the other div's and stuff. So getting the mouse on the last menu item is impossible because the image is in the way. Only if I go to another spot of the menu I am able to click the last menu item. Guess this needs to be altered as well.